The NewStar thin client mount, model THINCLIENT-10, allows you to mount a thin client computer to a monitor mount. A thin client mount creates a need and clean desk because its stored behind the monitor and doesnâ€™t use any valuable desk space. Increase the lifetime of your computer due to reduction intake dust and dirt. Keep the workplace clean without computers on the desk. This NewStar thin client mount allows vertical installation of thin client computer between the screen and monitor mount. 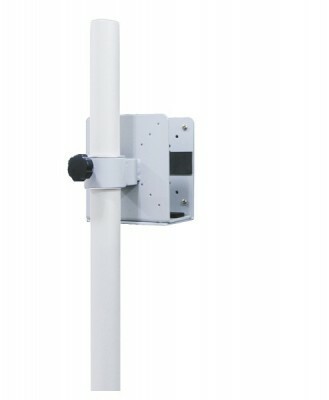 This product includes VESA50, VESA75 and VESA100 hole pattern to simplify installation with flat screens and flat screen mounts. Hide your cables and keep the workplace nice and tidy.